Colony Little is a Los Angeles based writer and founder of Culture Shock Art. As a Bay Area native and long term Southern California resident, Colony covers emerging contemporary art in California, the aesthetic of urban culture and is a champion of African American art and media. In 2015 she launched TONDI, a digital exhibition site dedicated to the interconnection between socio-political movements and their impact on creative expression. Moses Serubiri is a writer, researcher and curator. He currently works as Research Curator at ANO Center for Cultural Research in Accra, Ghana. His research and curatorial projects include: ‘Life mu City’ (2014) a series of panel discussions on urban language held at the Goethe Zentrum Kampala; the biennial contemporary art festival, KLA ART – UNMAPPED (2014) on urban mapping and social classification in Uganda. As research intern for C& – Contemporary And, he wrote short essays on African cultural producers on the international art scene. Serubiri is an alumni of the Asiko International Art School, and was awarded the 2015 Stadtschreiber residency at the Bayreuth Academy of Advanced African Studies. Kareem is an artist, curator and critic based in London. His work has been featured in several publications and is the host and founder of nightlife event Body Party. Stephen Kearse is a writer in Washington, D.C. He has previously written for Slate, The Toast, Paste Magazine, and Model View Culture, among other outlets. He irregularly writes about race, music, and movies at The Black Tongue and tweets @black__steve. He declines most brunch invitations. As NYC’s biggest fan in the form of the coolest black girl alive, Stephanye’s quest to discover everything dope, cheap, and black+ excellent below 14th Street is chronicled on her site iso14below.com. The Philadelphia native and Clark Atlanta University alum is also the woman behind the world’s only R&B trivia night, #RhythmNBodyroll. Her musings on music, art, and culture can also be found at Saint Heron, MySpace, and Slant News. Rianna Jade Parker is a reader before anything else and a writer who writes for other readers. 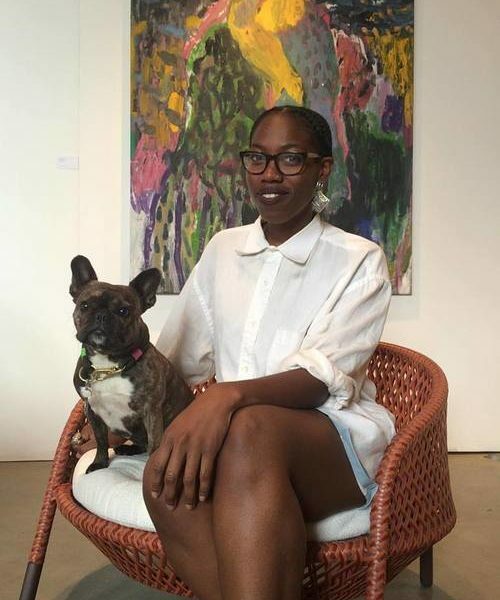 Her curatorial, artistic and social practices are as informed by Stuart Hall, bell hooks, James Baldwin as they are by Biggie and Lil Kim. When she is not frying platanos she is busy hitting life’s snooze button. 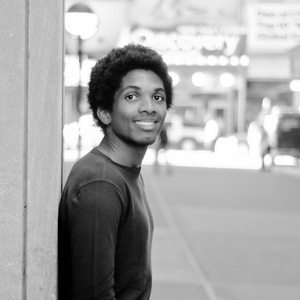 Justin Allen is a writer and performer from Northern Virginia. He has contributed to ARTS.BLACK as well as Lambda Literary, Mosaic Literary Magazine, and others. He lives in New York City. Ikechukwu Casmir Onyewuenyi is a Nigerian Australian curator and writer. He is currently a curator at Art in Odd Place and a curatorial assistant at Performa. 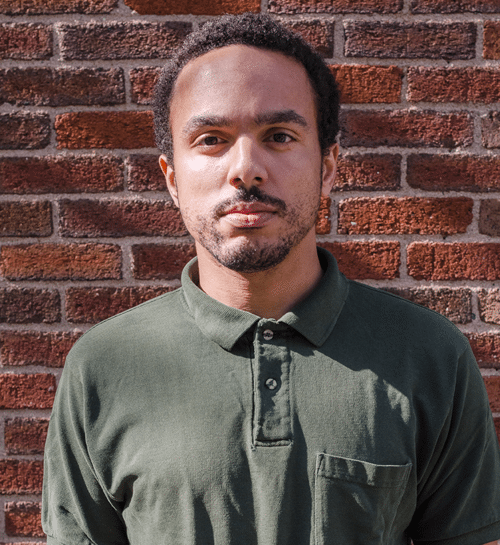 He has prior curatorial experience with BRIC, AC Institute, and African Artist’s Foundation, with projects ranging from performance and public art to web-based media. He is a co-founder of Pop’Africana, a cultural platform for contemporary African ideas. Danielle A. Scruggs is a photographer, photo editor, and cultural producer currently living and working in Chicago, IL. She graduated from Howard University and Maryland Institute College of Art, where she earned degrees in journalism and digital arts. She currently works at the Chicago Reader as the paper’s director of photography. You can find out more about her at her portfolio sites, daniellescruggs.com and dascruggs.com. Ashley Stull Meyers is a contemporary Arts Writer, Essayist, and Curatorial Collaborator. She has curated exhibitions and programming at numerous institutions across the Bay Area, and has been in academic residence at the Bemis Center for Contemporary Art (Omaha, NE) and the Banff Centre (Banff, Alberta). She is currently based in Portland, OR.